Fashion Footing: Formula X Urban Bush Babes Everdream? 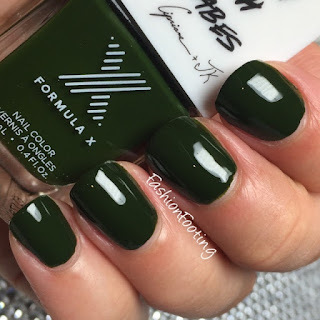 I had to buy this gorgeous evergreen polish from the Formula X and Urban Bush Babes collab. Everdream? is a beautiful evergreen creme polish. This was opaque in two coats and while it looks almost black in pictures, it definitely looks green in person. Such a gorgeous color!! I did add topcoat.